June 2015 : Pubic Engaged Community Planning Charrette for the City of Ithaca, NY Seth Harry & A ssociates has been working with Form Ithaca over the past year to look at zoning reform in the city and town of Ithaca, NY. In early June, Form Ithaca held a community "character code charrette" to improve city and town land-use regulations .Read more her e .
August 12 , 2014 : Design Standards and Guidelines Adopted by the City of Milton, WA The City of Milton, WA has adopted design standards and guidelines for the Uptown District, produced by the combined efforts of Seth Harry & Associates, KPG Inc, and Studio 3MW. 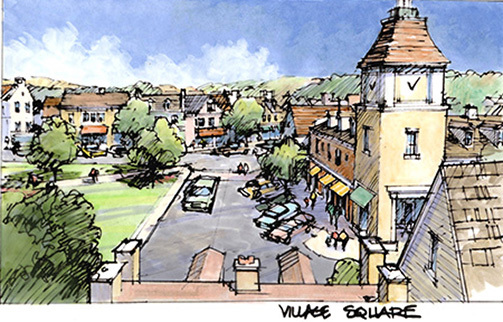 These standards are intended to transform the existing town center of Milton from a car and strip center dominated area into a pedestrian friendly, mixed-use town center. See the document on Milton's website here. March 5, 2013 : Office Relocation Seth Harry & Associates is excited to announce the relocation of their office to downtown Frederick, Maryland. 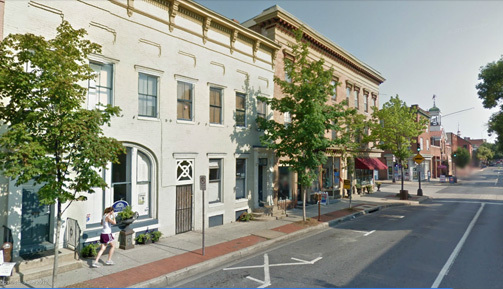 The new address for the office is 109 South Market Street, Frederick, MD. The office is located in a 19th century rowhouse in the heart of the historic downtown in Frederick, just steps from Carroll Creek. February 5, 2013 : Emmitsburg Town Square Seth Harry & Associates, along with Townscape Design and CMS Associates, has recently presented a master plan to the City of Emmitsburg to revitalize the historic town square. Two designs for the square have been presented, along with a comprehensive vision for the city as a whole, which aim to restore the historic square, which has been dominated by cars recently, into the beautiful, shared space that it was intended for. An article in the Frederick News-Post about the presentation to the city council can be found here. June 6, 2012 : Mixed-Use Buildings Featured in Article Two mixed-use buildings nearing completion in Grand Rapids, MI, and designed by Seth Harry & Associates, are featured in an article on MiBiz.com, an online Michigan business website. The two buildings are the first phase of the Tapestry Square development, a $60 million revitalization effort in downtown Grand Rapids being led by the Inner City Christian Federation. The buildings work to restore the urban fabric that has eroded over time, and will feature ground floor commercial space and two floors of apartments. Click here to read the article. 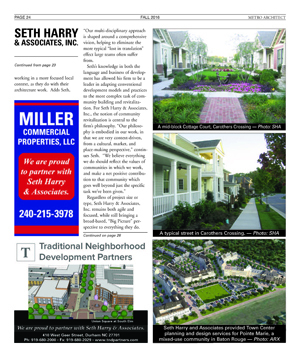 April 27, 2012 : Seth Harry to speak at CNU 20 Seth Harry will be speaking at CNU 20, May 9-12 in West Palm Beach, FL. He will be participating in a forum on sustainability, speaking about sustainable commerce. He will also be speaking about strategies for building secure communities based on traditional building types in an urban form, and their implementation in a number of projects in Central America. March 24 , 2012 : PATH International Conference On Saturday, March 24, Seth Harry and Ruth Landsman will be speaking at the regional conference for the Professional Association of Therapeutic Horsemanship International (PATH) about the sustainable design of equestrian therapeutic riding centers. Click here for information about the conference. 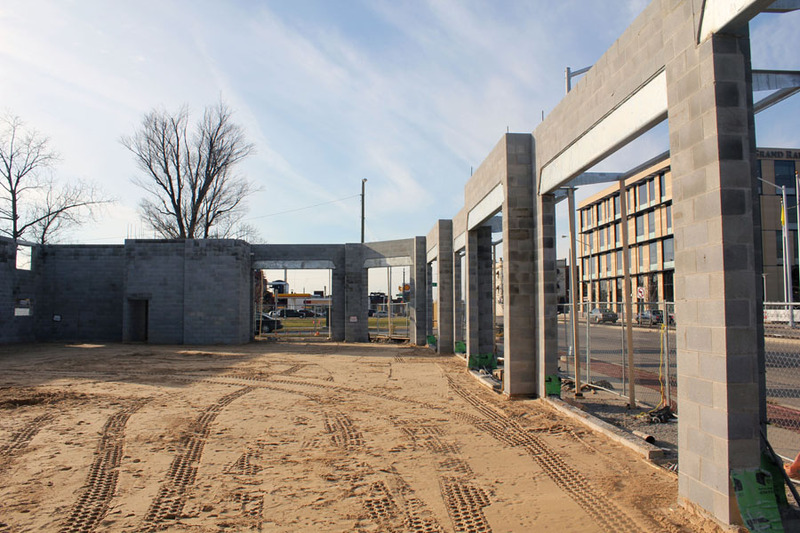 December 5, 2011 : SHA buildings under construction Seth Harry & Associates provided the master site plan and was the design architect for two mixed-use, urban infill buildings under construction in Grand Rapids, MI. Integrated Architecture was the architect of record. Construction began on the two buildings in October, 2011, and the buildings are expected to be occupied by the middle of 2012. The two buildings each have ground floor retail space with two floors of apartment units above. Located on Wealthy Street, the buildings are part of a larger restoration of the urban fabric in this part of Grand Rapids. See the project page here. April 7, 2011 : Living Urbanism features article by Seth Harry Seth Harry's article "Living Urbanism and Sustainable Commerce" is featured on LivingUrbanism.com. The article is an argument for urban retail as the most efficient and sustainable form of retail, and further argues that policy should be enacted to promote and foster the remediation of suburban retail formats and the revival of existing urban centers. The full article can be read at LivingUrbanism.com. March 21, 2011 : Seth Harry featured in Sustainable and Resilient Communities Seth Harry is a contributing author to the recently published book Sustainable and Resilient Communities: A Comprehensive Action Plan for Towns, Cities, and Regions. 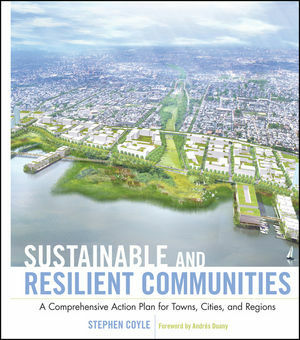 Written by Stephen Coyle, with a forward by Andres Duany, this book is the ultimate step-by-step guidebook for implementing a comprehensive "green action plan" for cities large and small. To learn more, and to purchase the book, visit SustainableandResilient.comJune 22, 2010 : Sustainable Commerce SmartCode Module The Sustainable Commerce Module for the SmartCode, written by Seth Harry & Associates, Inc. is now available for incorporation into the SmartCode. The PDF file is available from the link on the left and downloadable files in PDF and InDesign format for editing are available at the Center for Applied Transect Studies website.March 2010 : Seth Harry Quoted in Washington Post Article Seth Harry was quoted in a Washington Post article about retail in new sub-urban town centers titled "It Takes More Than Stores to Build a Winning Town Center." Read the article at washingtonpost.com. February 2010 : Draft of SmartCode Retail Module Seth Harry & Associates is currently working on the preliminary draft version of a retail module for the SmartCode. This module will provide a coherent regional framework for incremental retail allocations consistent with traditional land-use settlement patterns, generating a system that is locationally efficient and largely self-regulating. January 2010 : Seth Harry Featured in "Drawing Shortcuts" Seth Harry is featured in the 2nd Edition of Jim Leggitt's book, "Drawing Shortcuts, Developing Quick Drawing Skills Using Today's Technology." Mr. Harry's wide range of drawing techniques are explored in this resourceful book which emphasizes that hand drawing is still relevant in the practice of architecture. For more information visit drawingshortcuts.com.November 2009: Enloe Medical Center and Avenues Neighborhood Subsequent to a neighborhood planning charrette in Chico, CA intended to reconcile the expansion of Enloe Medical Center with the vision of the surrounding Avenues Neighborhood, construction has progressed respecting the plan proposed by Seth Harry & Associates, Inc. For more information visit the Enloe Medical Center Century Project Page.April 2009: SHA Joins Enterprise's Green Communities Technical Assistance Providers Seth Harry & Associates, as a consultant to the Cloudburst Group, was selected as part of a team headed by the Federal Practices Group as an Enterprise Green Communities Technical Assistance Provider. 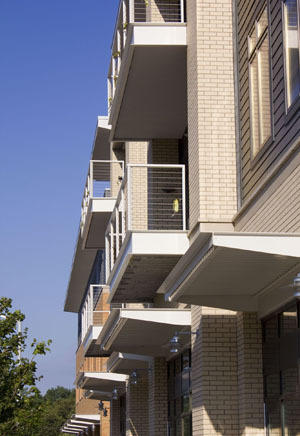 Green Communities promotes smart growth and sustainable building practices in affordable housing design. For more information see the Green Communities website.